Developing a malaria vaccine is a particularly knotty problem: Vaccines typically can target only one or a few antigens—proteins produced by infectious organisms, against which the host’s immune system mounts an attack. (A vaccine, which is full of these antigens, spurs immune cells to churn out antibodies that will patrol the body and, should the infectious organism itself invade the body in the future, summon other cells to destroy the organism.) Malaria, however, is caused by a parasite that produces more than 5,000 potential antigens. As described in “Smoking Out Malaria” (Summer 2012), one innovative approach to a vaccine involved using a whole malaria-causing parasite in attenuated (weakened) form, which was expected to be more effective because all of the parasite’s antigens in a particular life stage would be on display—and open to immune system attack. Although an initial trial that involved injecting the vaccine under the skin was disappointing, results of a second trial in which the vaccine was administered to volunteers intravenously (allowing parasites to rapidly enter the bloodstream as they do during an infected mosquito bite) yielded astounding results. According to research published in Science on Aug. 8, 2013, scientists grouped the trial’s 40 participants according to how frequently they received the vaccine and at what dosage. Of the nine volunteers who received four injections of the highest dose over several months, six were immune to malaria when later given a controlled malaria infection. Moreover, all six subjects who received five injections of the highest dose were completely protected from malaria. There are now plans for further trials of the vaccine in the United States, Germany and several African nations to test its safety and efficacy in larger numbers of volunteers and to see if it protects against other strains of the parasite. 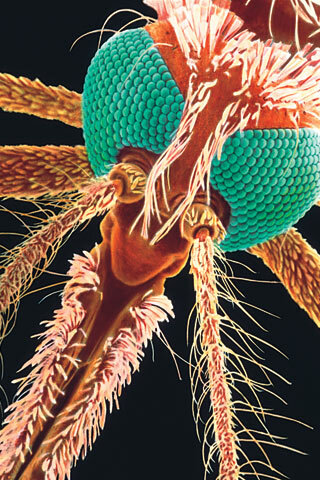 Previous efforts involved irradiating infected mosquitoes, rendering the parasites too weak to cause disease, but still able to trigger a potent immune response. Among volunteers bitten by 1,000 or more irradiated mosquitoes, more than 90% were protected from malaria. However, such a method of administering a whole parasite vaccine was clearly impractical. The breakthrough vaccine came about when researcher Stephen Hoffman founded a company, Sanaria, in 2002 to make a practical vaccine that could be injected with a needle and syringe, developing a method for dissecting salivary glands from mosquitoes by hand. Critics express doubts about scaling up that approach for larger trials and mass vaccination campaigns in Africa. But Hoffman estimates that it would take only three dissectors working one hour to extract enough for the 40 participants in the trial reported this past August, and he’s working with robotics and microfluidics engineers at Harvard University to automate the process. Several drugs that stop the virus by blocking different pathways are nearing FDA approval. After a 1950s campaign to eliminate malaria fell disastrously short, new tools are propelling another push to eradicate the mosquito-borne plague. New AIDS research and the study of asymptomatic HIV-positive patients has brought optimism to those looking to cure the disease.